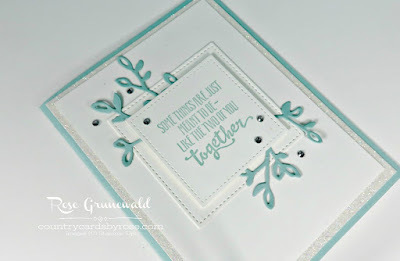 Welcome to another Tutorial Tuesday on my blog! I know you'll love this pretty layered card using the Petal Palette Bundle. I love how the leaves are peeking out from behind that top stitched square layer...and aren't these colors so pretty together? My friend Dena made this card. 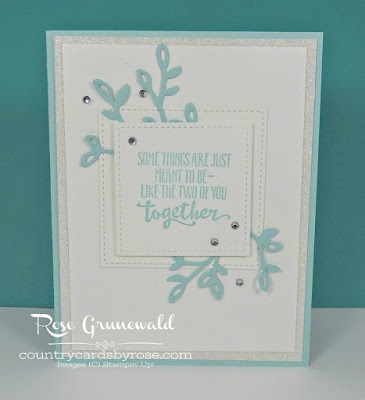 Let's get stamping! Click HERE to get the project sheet. · Die Cut the largest two stitched shape squares. Stamp sentiment of your choice in Pool Party ink. 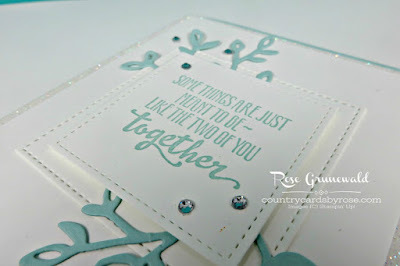 · Die cut Branch image and adhere pieces to back of stamped square. 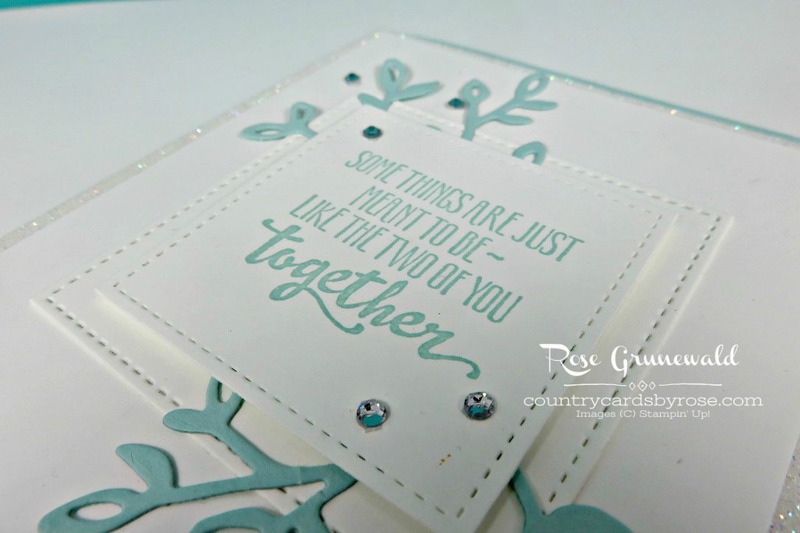 Pop up onto larger die cut square. Adhere to larger White Panel. 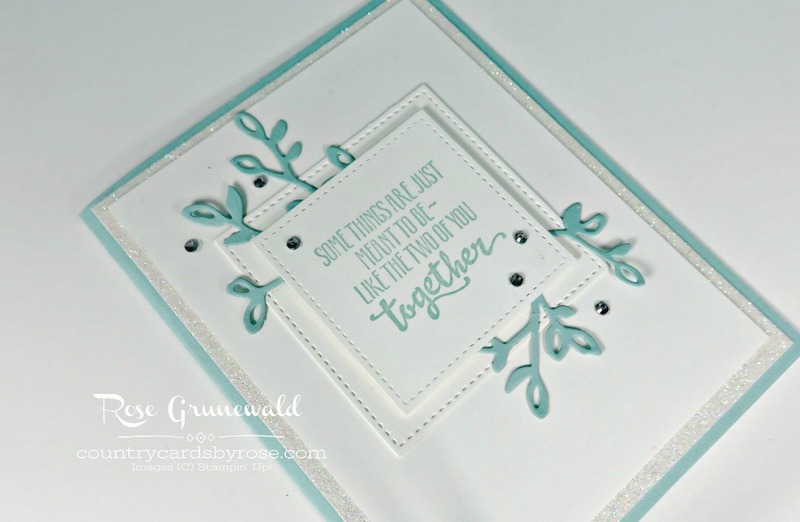 · Adhere to Glimmer Paper Panel and then to Pool Party Card.